In October 1800, when he was born, his kingdom had gone to sleep on the laurels of Frederick the Great.1 By April 1891, when he died, the kingdom of Prussia had been resurrected, it dominated the first new Germanic great power since the fifteenth century. And the means to that end — a new form of war process — had been created which would become the model and paradigm for twentieth-century armies around the world. 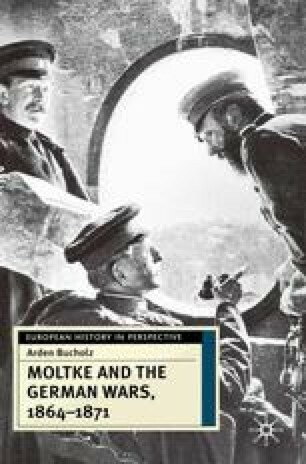 Helmuth von Moltke’s life mirrored, represented and created one of the enduring and surprising inventions of the nineteenth-century world.